Best known and applauded for his work on Brasília, “a sprawling new metropolis mapped around a governmental plaza that would become a beacon of modernist aesthetic ideals,” he was banned from the US for his leftist political associations. 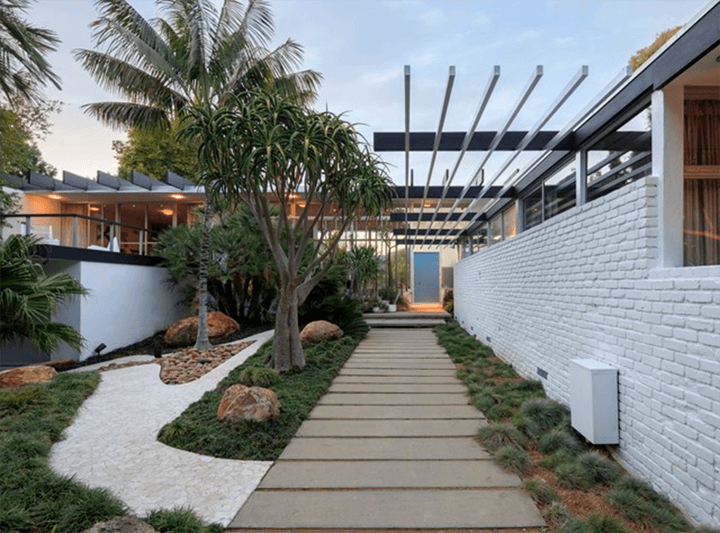 Designed in 1963 to sit on an architecturally driven street with neighboring homes designed by Lloyd Wright and Paul R. Williams, 1911 La Mesa Drive is an expansive single-story residence erected on a 26,791-square-foot lot overlooking the Riviera Country Club and the Santa Monica Mountains. 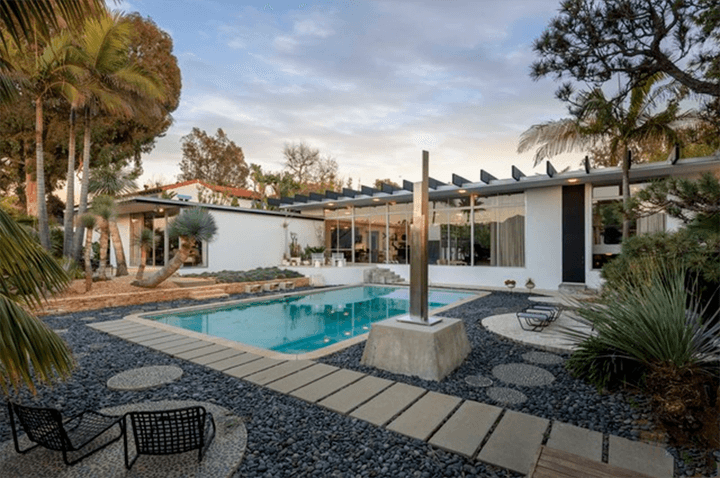 Still owned by Michael and Gabrielle Boyd, modernist house collectors who saved the Strick House from being razed, the International-style dwelling is listed for rent, asking $55,000 per month. 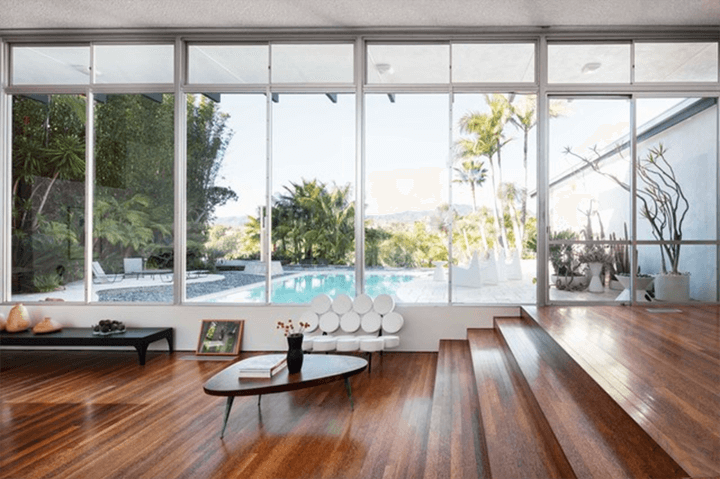 Interested in seeing the only Oscar Niemeyer-designed home in the US? Get in touch by email or call (323)829-4440 to schedule a showing.